What are the best potatoes for French fries? If you are like me and many other people, you have a huge love for French fries. My weakness are spicy and crispy sweet potato wedges sprinkled with all kinds of spices like cayenne and oregano. I take about 5 of those at once and dunk them into ketchup and devouring them in one big bite. 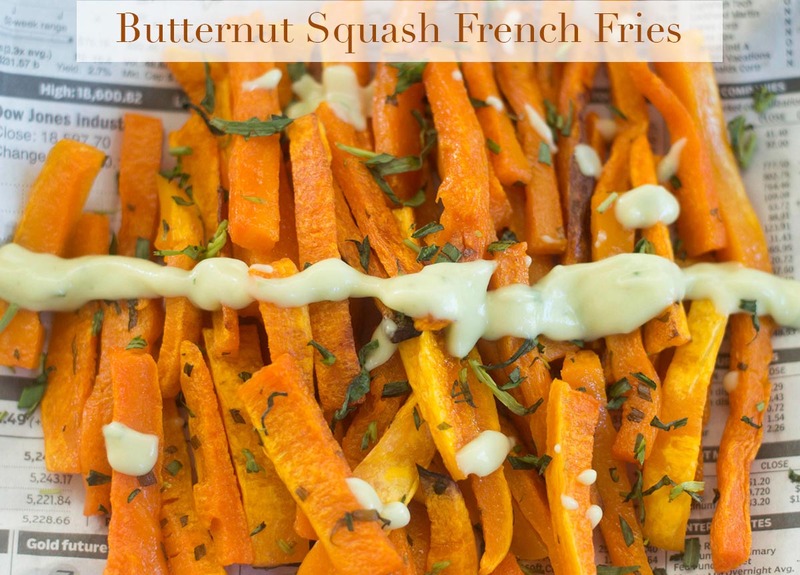 I try finding healthier substitutes for traditional french fries. 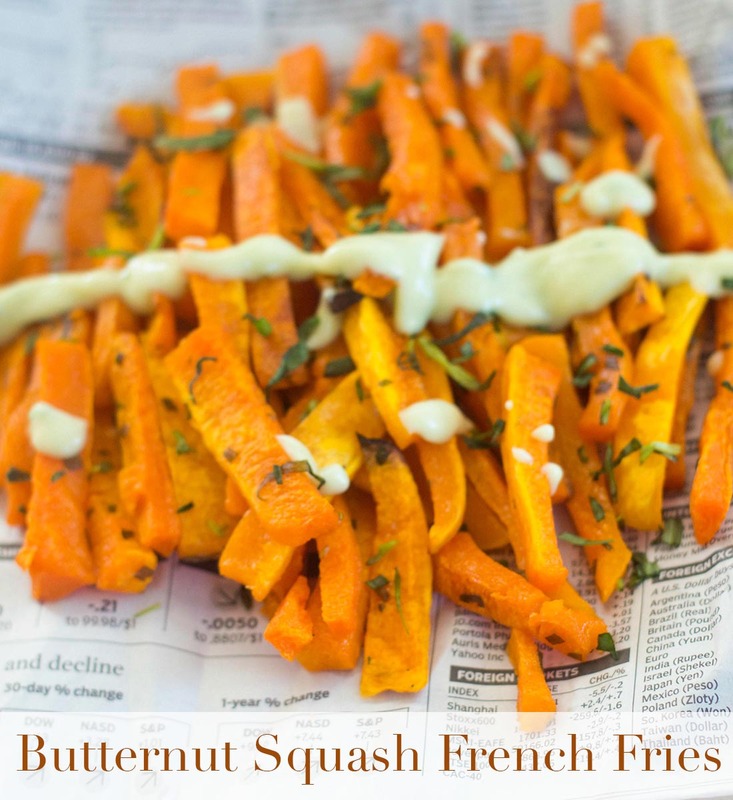 These butternut squash fries vitamin A and C packed in them and they taste so delicious. I dipped them in my creamy avocado dressing which was just the perfect level of deliciousness. The tang from the creamy avocado lime dressing was enough to make me squeal with joy. It also tasted great with my homemade ketchup. The fire roasted red pepper gave it a slight spice which is what I like in my fries. So, I can’t decide which is my favorite condiment with this fries but I will be happy with either. 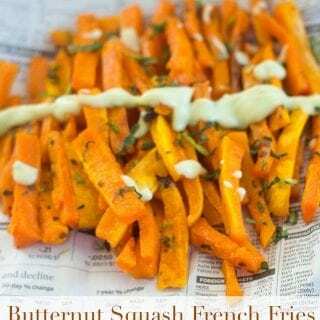 For the herb, I paired the butternut with tarragon. When they were baking in the oven, I cannot describe the wonderful aroma that was coming out of my kitchen. Tarragon also tastes so good in this Mediterranean couscous salad recipe that I made in the pressure cooker. Which dip will you choose to go with these French fries? 1) Take a butternut squash that has a long neck. Wash it thoroughly and then dry it.